And so it was a surprising seven years ago this month, in mid-February of 2000, that I registered the web address of this here Bradley’s Almanac. And while it took while for the place to mutate into its current form, it’s as good a time as any to use for marking an arbitrary anniversary. To commemorate this minor occasion, I’m sharing and shining a new light (as well as expanding) on the free collection of songs I put together a few years back titled “My Life or Some Dream”, which compiled rare and unreleased music from friends’ bands and others I was lucky enough to have been part of. Most of these bands are linked inexorably to whatever mid-90s indie-ish music scene existed in my old hometown of Burlington, Vermont, a couple are tied to my adopted home of Boston, and there are some Brooklyn connections as well. While I’ve made some of these songs available as mp3s in the past, I never did take the time to pull them together in a proper ‘Nac post. In addition to doing just that, I’m also updating the current whereabouts and internet-linkage to as many of the involved musicians as I could find, and more importantly, I’m adding a couple very new, unreleased tracks from some of my more recent bandmates, Charlene and the Broken River Prophet, who were kind enough to accept my invitation. Means a lot that they’re letting me debut their new material here on the Almanac. So thanks, guys. 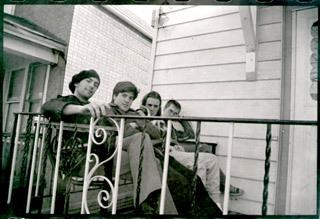 The Madelines (1993 to 1996) were Colin Clary, Pat Hegarty, Kurt Herrmann, and Scott Padden. This song was originally released on a self-titled cassette EP, and is not only responsible for the name of this website, but the lyrics provided the title for this compilation. Recorded at Eclipse in October of 1994. Colin also plays on track four with the The Magic Is Gone, track ten with The Four Color Manual, and he closes out this compilation with a solo song. 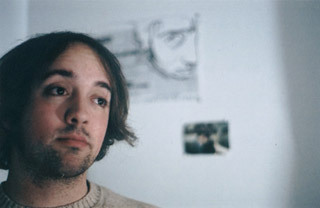 He currently plays in Burlington, Vermont pop band the Smittens. Kurt also played in My Own Sweet, who offer up track eight, and with Pat and Scott in Brooklyn’s Pilot to Gunner, who contribute track nine. Huffy (1994 to 1998) was Jeff Brown, Tim Lauben, and Nate Wells. This song was originally released on the “Sunny Drive Time” cassette EP. Recorded at Eclipse in 1995. Tim also plays on track seven with Snowplow, track eight with My Own Sweet, played for awhile in Brooklyn’s The Red and the Black, and is currently working on solo songs. I highly recommend you stop by Tim’s MySpace page to hear some of ’em. He also happens to be playing a free solo set tomorrow, March 1st, at the Sidewalk Cafe in NYC. Nate is now part of the metal man-chorus that is Bang Camaro. Guppyboy (1991 to 1997) was Jeffrey Baron, Michael Barrett, Zachary Ward, and Christopher Ziter. This song was originally released on a the “Rani” cassette EP. Recorded at Low Tech in November 1992. 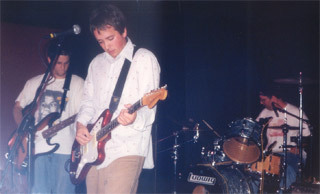 Jeff, Chris, and Mike went on to become The Essex Green, along with Sasha Bell, who was also a member of Guppyboy in their later days. 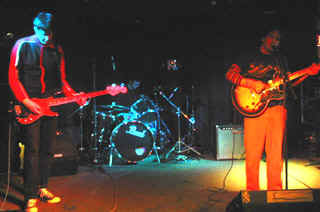 Mike and Zach also played in Eef, who contribute track fourteen. Mike eventually left the Green, and has since released his own solo material (check out track thirteen). In fact, Mike and Zach recently recorded some new songs together that we’ll hopefully hear sometime soon. Chris has played some solo shows, and someday we may see a solo album from him. Jeff also plays in The Ladybug Transistor with Sasha. The Sixth Great Lake is members of the Essex Green joined by Mike, Zach, and friends … which means it’s pretty close to Guppyboy’s original lineup. Confused? Excellent. Hover (1991 to 1994) was Bob Higgins, Nick Nichols, Brad Searles, and Jan Tofferi. This song was recorded specifically for this compilation at Eclipse in December 1999. 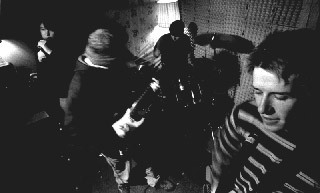 Jedd Kettler (from Eef, track fourteen) also played in Hover for a time, and plays guitar on this song, which was actually recorded a few years after Hover disbanded. Matt Hutton (from Spray 9 and the Red Telephone) also played a couple shows with us as well. While in Hover, Nick and Brad started playing in Snowplow (track seven), and after Hover, Bob formed Lindy Pear with our friend Craig Gurwich (aka Summer at Shatter Creek). Eventually, Nick started a band called Gladly, and Brad went on to play with Jedd in Eef (track fourteen) and then the Four Color Manual (track ten). In time, Jan and Brad reunited to play in Starlight Conspiracy (track twelve), while Bob and Nick would join up to play in the Violet Skies (track eleven). After Starlight, Brad went on to start the Also-Rans (track six), and did stints in Charlene (track sixteen) and the Broken River Prophet (track seventeen). Whew. The Magic is Gone (1999 to 2005) were Joe Boo, Colin Clary, and Tom Goodale. This song also appears on the Magic’s debut disc on Dangerfive. Recorded at Eclipse in 2000. Colin played in the Madelines (track one), the Four Color Manual (track ten), and currently plays in the Smittens as well. He also releases solo material (under his own name, and as the Part-Time Losers, see track fifteen) and plays with the Magogs. He also believes that being nice is a political act, and he might just be right. 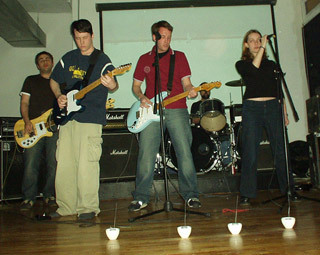 The Also-Rans (2000 to 2002) were Denny Donovan, Chris Kelly, Mary Saunders, Matt Saunders, and Brad Searles. This song also appears on the 2002 “Resignation EP”, released on SincAudio in 2002. Recorded at Fort Apache in April 2001. Listen to a whole bunch of unreleased Also-Rans songs here. Run-on sentence alert: Denny played in Slush, Twelves Times Over, Drowningman, The Scheme, and Starlight Conspiracy (track twelve), and started the Also-Rans with Brad, who also played in Starlight, as well as Hover (track four), Snowplow (track seven), Eef (track fourteen), and the Four Color Manual (track ten). Chris started out in Aesop, then played in My Own Sweet (track eight) and the Disconnect. Mary is also known in pop-circles as the one and only Miss Mary. 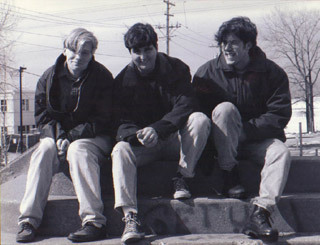 Snowplow (1993 to 1994) was Tim Lauben, Nick Nichols, and Brad Searles. This song was never officially released. Originally recorded at Eclipse in 1994, finished at Headroom in 1999. Pre-Snowplow, Nick was in Hover with Brad. 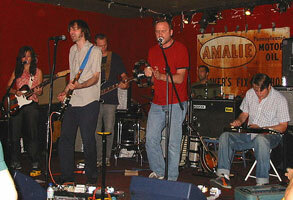 During and after Snowplow, Tim played in Huffy, then joined My Own Sweet, and eventually the Red & the Black in NYC. As I said above, Tim is now releasing his solo songs on his MySpace page. After Snowplow, Nick formed Gladly and then the Violet Skies (track eleven), and Brad played in, well, enough about what I played in. My Own Sweet (1996 to 1999) was Chris Kelly, Tim Lauben, Dave Mersch, and Kurt Hermann. This song was never released, along with a ton of other material that deserves to see the light of day (listen to some on MySpace). Recorded at Archer Studios in February 1998. 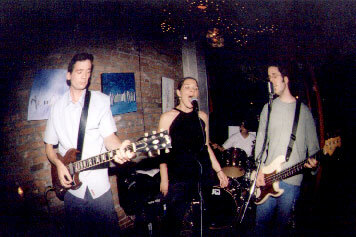 After My Own Sweet, Kurt headed to NYC to play with Pilot to Gunner, while Chris K., Tim, and Dave joined up with Chris Ott (aka The Grace Period) on drums to form Boston band the Disconnect. 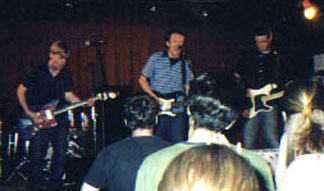 After the demise of the Disconnect, Chris K. played with the Also-Rans and Tim went on to start up the Red & the Black. Pilot to Gunner (1998 to present) is Patrick Hegarty, Martin McLoughlin, Kurt L. Hermann, and Scott V. Padden. This song was originally released on a SincAudio seven-inch. Recorded at the Rare Book Room in December 1999. A re-recorded version of this song appears on their 2003 “Games At High Speeds” cd. Pat, Kurt, and Scott all used to be in the Madelines (track one), while Marty was in a VT-based band called Me Jane (with Adam from The Broken River Prophet and Keira from The Specific Heats). Kurt was also in My Own Sweet, and played drums with the Four Color Manual for awhile. 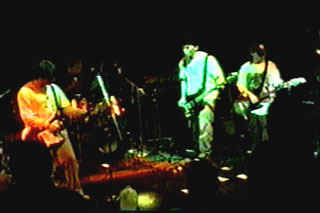 The Four Color Manual (1997 to 1998) were Dan Scinta, Colin Clary, Kurt Hermann, and then Brad Searles. This song was never officially released. Recorded at Eclipse in 1998. Colin and Brad are on this compilation far too much. Kurt’s on it an awful lot, too. Dan’s only on here this once, but it’s all he needs to rock you. Ten tracks in, and these descriptions are getting a little redundant. 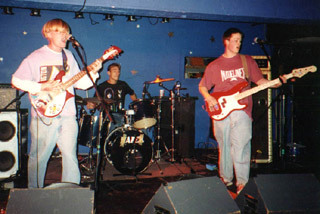 The Violet Skies (1998 to ?) are Nick Nichols, Jen Manseau, Bob Higgins, and Susanne Schmidt. Darren Bernard also contributes guitar to this track. This song was released on a self-titled cd. Recorded at Eclipse in the fall of 1998. Nick and Bob were both in Hover, after which Nick played in Snowplow and Gladly, while Bob played in Lindy Pear. 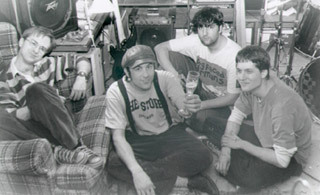 They reunited years later to form the Vermont-based Violet Skies. Starlight Conspiracy (1994 to 1999) was Jan Tofferi, Denny Donovan, Brad Searles, and Shawn Flanigan. 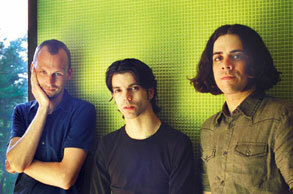 This song was released on a Catapult Records 7″ in 1996, and was the first song Starlight ever wrote together. Recorded at Eclipse in 1995. Listen to every song Starlight Conspiracy ever recorded right here. Ok, deep breath. Jan and Brad were in Hover together, and then Jan took a break while Brad played in a bunch of other bands. Denny was also playing in a ton of bands (see details on track six), until he and Brad started Starlight while working at a record store together. They grabbed Shawn, who had been playing bass in the Fags (useless trivia alert: The Fags were fronted by Eugene of Gogol Bordello, and also included Jason from James Kochalka Superstar) and convinced Jan to come out of hiding about two days before their first show. After Starlight, Denny and Brad moved to Boston and started the Also-Rans, while Shawn traveled west until returning to Burlington, where he started Fire The Cannons, and played for awhile in The Hero Cycle. 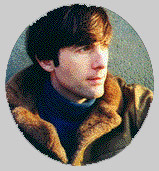 Mike Barrett (1970 to present) is Michael Lee Barrett. This song later appeared on Mike’s solo album, “Couches and Carpet“, released on Planting Seeds Records. Recorded by Denny in Brad’s basement in May 2001 with instrumental assistance from Colin Clary and Brad Searles. In addition to his artistic talents, Mike’s played in Guppyboy, the Essex Green, Eef, and The Sixth Great Lake. After heading to Nashville for a few years, he’s recently relocated to the Boston area, and is working on new material. 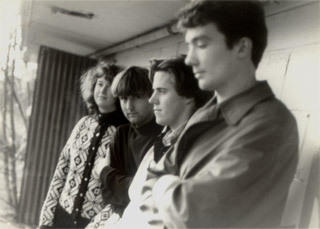 Eef (1994 to 1996) was Mike Barrett, Jedd Kettler, Brad Searles, and Zach Ward. This song was released on Eef’s debut cassette, Three Minute Kings, and then remixed especially for this compilation. Originally recorded at Eclipse in 1994, and mixed at Headroom in 2001. Eef started slow, picked up speed, and ended in a musical train wreck. You read about Mike above, Zach played in Guppyboy, The Sixth Great Lake, and continues to write songs. Jedd did time in Hover, and it’d be nice to think that he’s still writing his own stuff up in Vermont. Before the end times, I hope the four of us end up on a stage together one more time. This song was recorded in February 2001. Colin’s all over this thing. He played in Brian, Colin, & Vince, the Madelines, with the Four Color Manual, the Magic is Gone, and is currently in the Magogs and the Smittens. He also ran Sudden Shame Records. Charlene is Matt Mirande, John Rex, Jeff MacIsaac, and Don Stewart. This song makes its debut here. Recorded at Dented Head in 2006/2007. 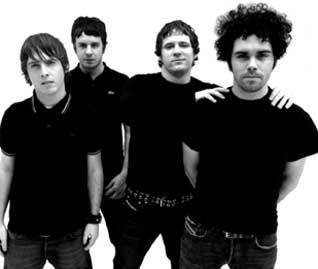 Charlene is working on their second album, a long awaited follow-up to their 2002 self-titled debut. Until then, catch them on tour this summer, and look for an upcoming digital single to be released sometime soon. Visit their MySpace page for the latest. The Broken River Prophet (1994 to ?) is always evolving. For this recording the members are: Ryan Rex, Marty Rex, Deborah Warfield, Brad Searles, Eric Provonsil, and Adam Brilla. This song is from the as yet unreleased album “7 Sermons For The Dead”. It’s based on true life events, and was devised by Adam and Marty sometime in 2004 while trying to make an entirely different kind of song. Recorded at Dented Head in February and December 2006. The Rex twins and Adam are in Lockgroove. Adam, Deborah, and Eric were in Shenzou 5. Adam is in Tiny Amps, Eric and Deborah are in Puella, and by now, you know enough about Brad.